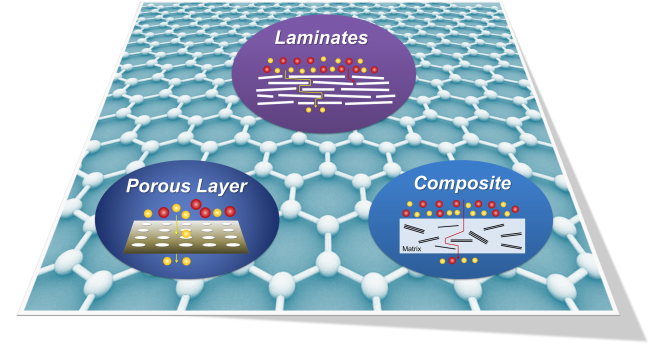 In view of our latest groundbreaking research on graphene membranes and films, Prof. Jin’s group recently publishes a review paper “Graphene-based Membranes” in Chemical Society Reviews (DOI: 10.1039/C4CS00423J, 2015. Impact factor: 30.425)(http://pubs.rsc.org/en/content/articlelanding/2015/cs/c4cs00423j). As the first comprehensive review in graphene-based separation membranes, this article aims to present the latest advances in both the theoretical and experimental chemical science and engineering of graphene-based membranes, including their design, fabrication and application.